You can define a sequence of multiple actions under a single Custom Action! 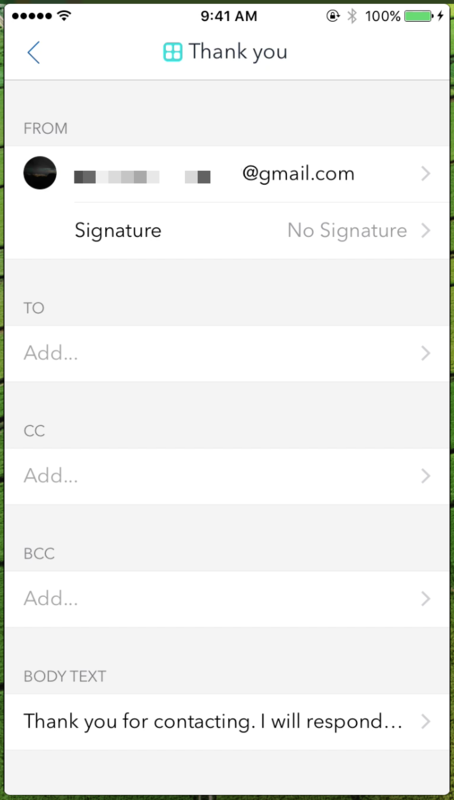 Airmail now offers &apos;Custom Actions&apos; for iOS. messages on a regular basis. redundant workflows that you have to perform on a regular basis. How to define a &apos;Custom Action&apos;? 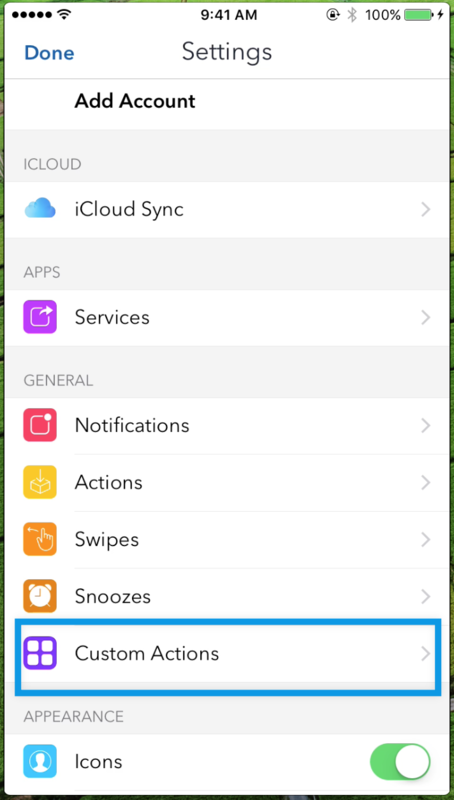 Then choose Custom Actions from the General section of the settings. 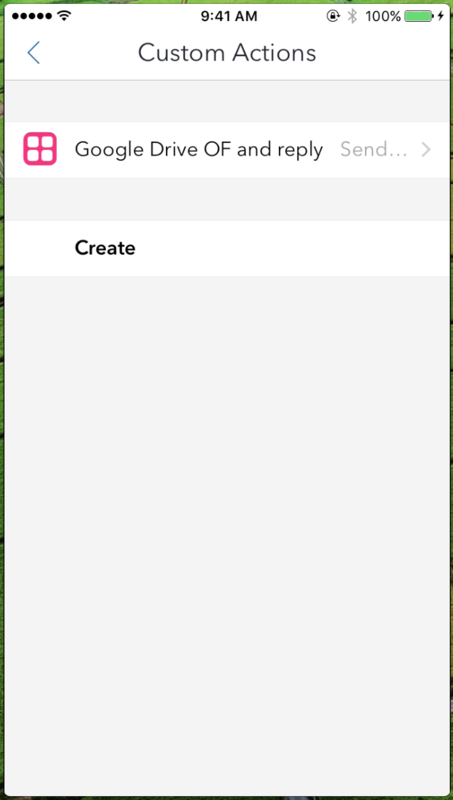 Then name the new custom action that will appear in the &apos;Action List&apos;, and proceed to &apos;Add Action&apos;. Now choose from the range of actions. perform on a particular type of the messages that you receive. Some actions like Snooze, Move to, Apply Label, Forward etc. need to be defined further. 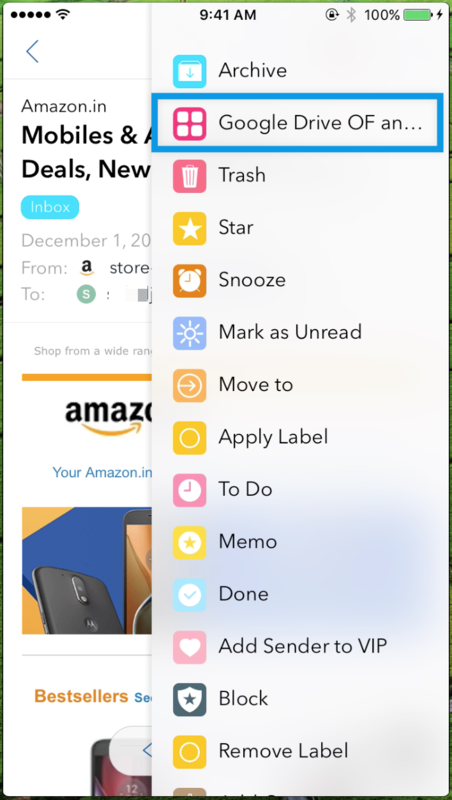 How to forward using Custom Action? / &apos;BCC&apos; / &apos;Signature&apos; / &apos;Body&apos; as shown in the screenshot below. example: &apos;forward and archive&apos; or &apos;forward and move to folder&apos;. them in the &apos;Receipts&apos; folder." 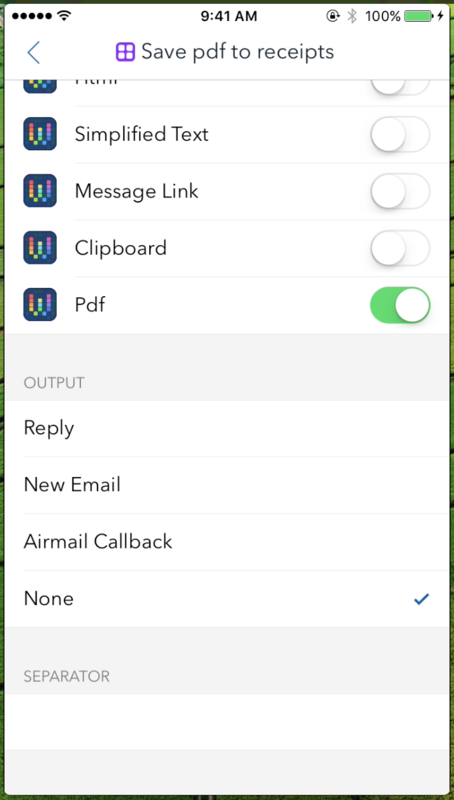 and then invoke this workflow with a single custom action. How to set up a custom reply/saved reply/canned response? You can set up saved replies as shown in the screenshot below. event for the particular message. 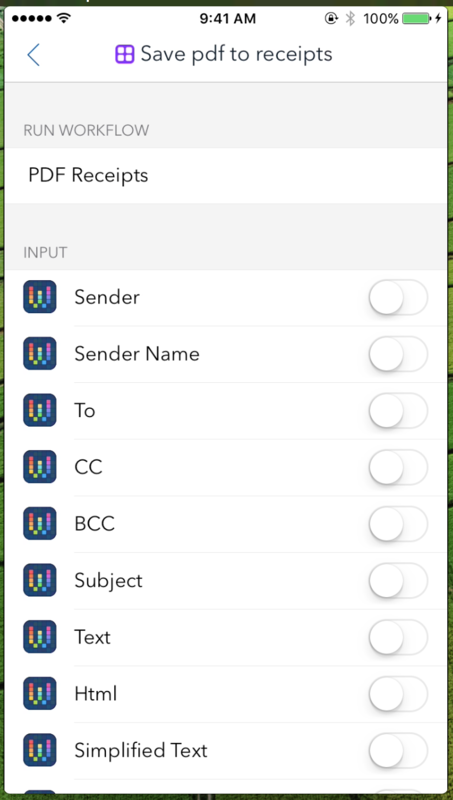 created a sample workflow for you, named &apos;PDF Receipts&apos;. 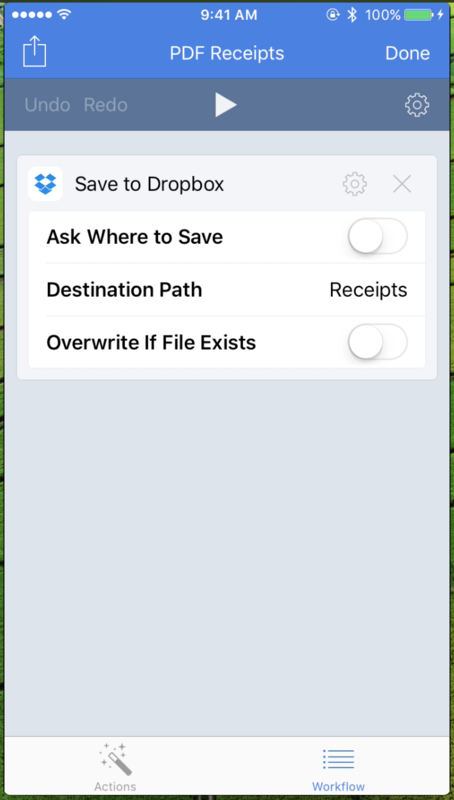 "save pdf to receipts") and choose to &apos;Add Action&apos; and select &apos;Send to Workflow&apos;. 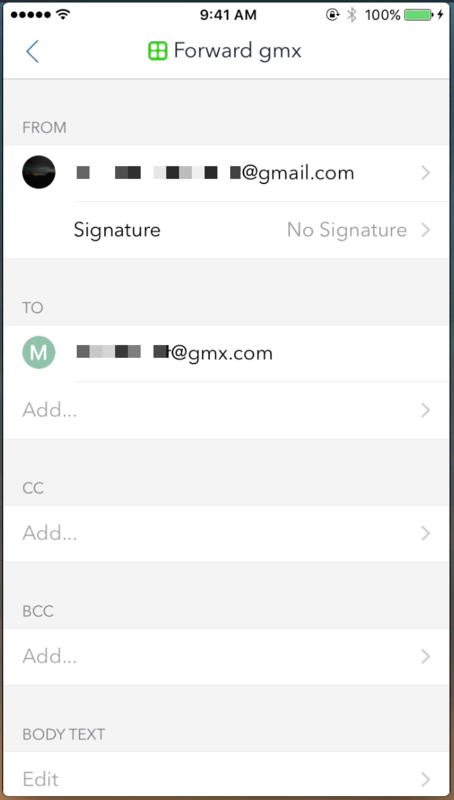 we use the same here in Airmail custom actions. &apos;None&apos;. 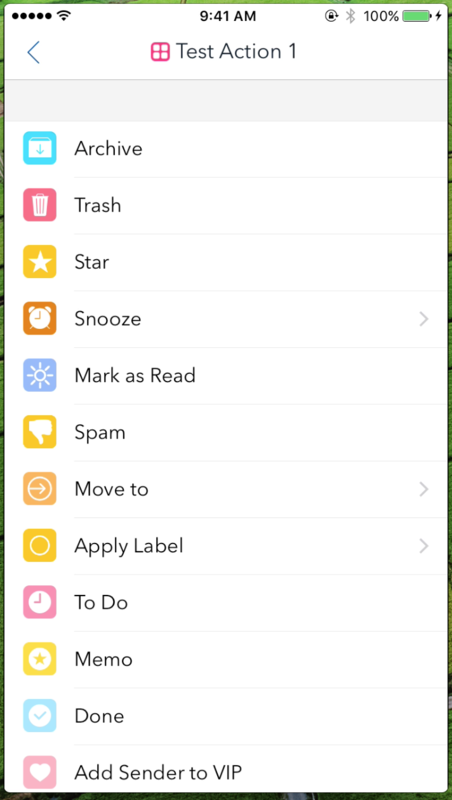 Leave the SEPARATOR section as it is, empty as shown in the picture below. folder of your Dropbox account.